Big, imposing new pick-up truck. More of a sports utility truck than a 'working' type of truck. 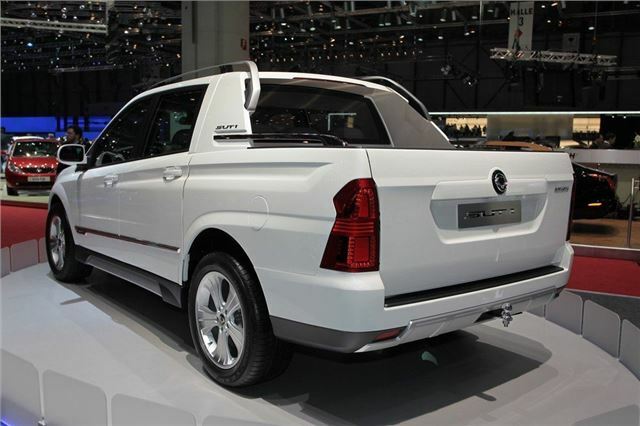 SsangYong showed a stylish new concept of its popular Actyon Sports at the Geneva Motor Show in 2011. While maintaining the essential characteristics of a traditional pick-up, this concept presents a more contemporary look to reflect the styling expected of today's Sports Utility Truck. 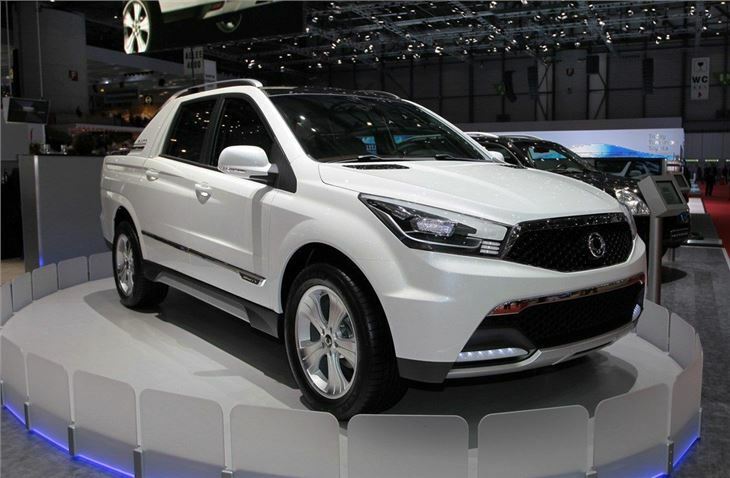 It eventually became the Korando Sport Pick-up.